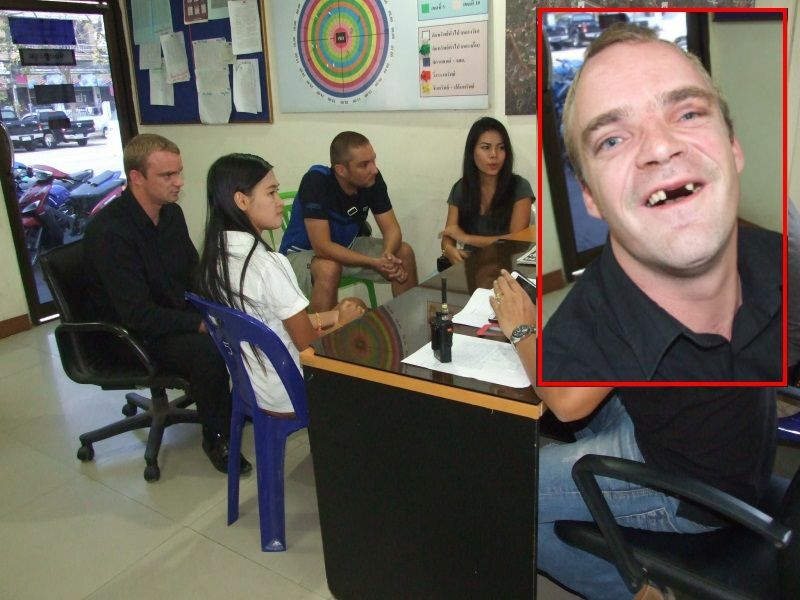 Although this is unacceptable behaviour the gentleman who lost his front teeth doesn't look like he had his teeth smash at all ,can't see much swelling etc not even a mark even his gums look undamaged.Wondering if he had a plate in and lost that.I have seen the result of one tooth being knocked out violently and that caused a large amount of swelling and cuts where the the tooth impacted with the lips . The British have always hated the arrogant French and take delight in thumping them. When I was much younger and living in England it was a common thing for the English Navy guys to arrange fights with the French when they were in port, not just fights but bloodbaths with knives and weapons. Was that during the Napoleonic war ? Interesting case for the BIB to exercise their professionalism on. A ' 'British ' crashed his motorcycle, a British what ? Now, with 4 constituent countries to choose from this is a job for Super Sleuth, oh sorry Chalerm's out of favour. 99.999% chance English. Cream puffs will only partake at those kind of odds. Your going to be doing stupid stuff. Very true but if you don't stick around for the police to arrive and give your side of the story this is what is assumed to be most accurate. The guilty party slinks away. What? It was 1:30 in the morning. Think they just went home to sleep. How where they to know to sit around to speak to the Police. No slinking...sure when it is all said and done you will see that what was write in this article does not come close to what really happened. If you ask me, send the Frenchy home. Not unless you have a problem with comprehension or been on brother Johnnie's juice too much. Och aye Jimmy, could be boyoo, to be sure, to be sure. Must be Cockneys, Geordies, Scousers, Yorkies or Essex chavs. Bit like that Rod Stewart bloke, from London. Khaosod Thai said that the British guy who reversed his bike and knocked over the French guy's bike is a part owner of the Last Bar and called Thomas. He was the one who called over his mates that carried out the attack. Picture of the injured parties with their wives at the police station. Ar we we sure that's the victim? He really looks like half the pome's here.